Treyarch has brought all of its Black Ops 4 community up to date with the March 1 patch that holds all the fine tuning and content for the game’s Operation Grand Heist. The new update brings a host of changes to both League Play and Multiplayer, while also finally introducing Hot Pursuit to Xbox One and PC players. Treyarch updated its CWL ruleset as Zero has been added to the list of Specialist after tons of feedback from World League players. However Scorestreaks like Drone Squad, Sniper’s Nest, and Strike Team have are now restricted per the CWL rules. 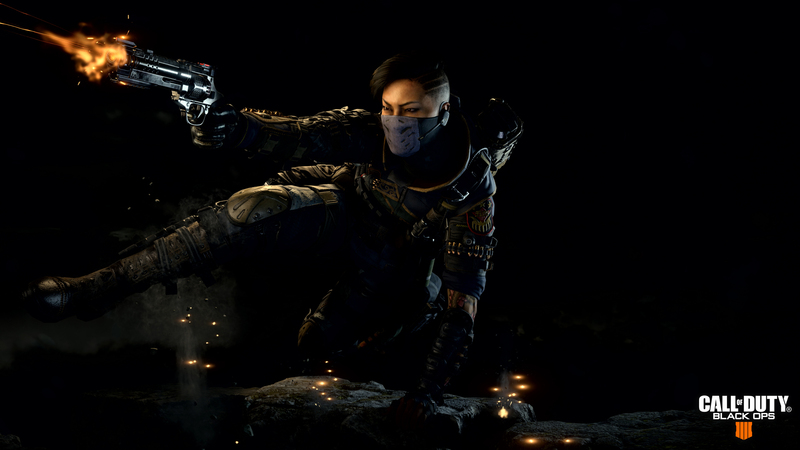 Further, players will notice a slight buff to the Saug, while Seraph’s Annihilator received a sizable nerf that will hopefully keep her tame in Multiplayer. The Saug got its ADS move speed when using the Stock attachment bumped up which will hopefully make the weapon for fluid while using. However the Annihilator received the bulk of the changes as its fire rate and earn rate got reduced to prevent Seraphs from suffocating the battlefield. The Saug isn't in a terrible spot, but Treyarch still thinks it needs a few more buffs to stand up against heavier rifles. Treyarch wasn’t shy about making some quick changes to the Saug as the CWL Fort Worth tourney is fast approaching. The company said they felt SMG players needed something more reliable to stand up to assault rifles, and the changes will look to level out the course. Similarly, Multiplayer users have been reeling from the Annihilator for quite some time, and it seems like Treyarch hopes the patch will keep the Specialist weapon at bay. 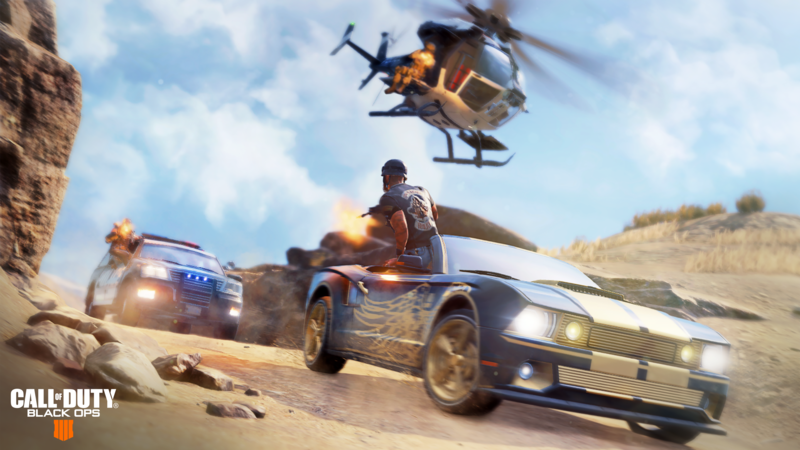 Blackout players on PC and Xbox One can now get into the latest operation’s main limited timed mode Hot Pursuit. The goal here is to either collect stashes with the game’s new Muscle Car, or prevent players from getting them by chasing them down in police SUVs. Our most intense Blackout game mode yet is now live on all platforms with today’s update on Xbox One and PC! Hot Pursuit shifts Blackout into overdrive with 3 new vehicles equipped with their own special abilities, tons of additional loot to find, our “Down But Not Out” respawn system with an MX9 & Armor on each respawn, and even crazier final circles. It’s a totally different beast from the standard Blackout gameplay rules, and we’ve been having a blast playing with you all. If you’re just dropping in for the first time today, a bit of advice: find your squad some Muscle Cars and floor it to the nearest green light beacon to load up on premium loot. You’re going to need it for the final Collapse, where it’s all-out mayhem thanks to the boosted loot count and new police vehicles with Sensor Dart functionality. As we set the stage for CWL Fort Worth on March 15-17, we wanted to make sure the Saug 9mm could help the SMG class stand up against assault rifles in competitive play. With today’s update, we’re increasing the Saug 9mm’s ADS move speed when using the Stock attachment back to pre-1.13 patch levels. Similarly, we’ve seen Seraph’s Annihilator shut down entire teams too efficiently in the right hands during competitive play. As of today’s update, we’ve made a balancing pass to reduce the Annihilator’s firing rate and earn rate to bring it more in line with the rest of the Specialist Weapons included in the latest CWL ruleset. These updates take effect in Multiplayer and League Play on all platforms starting today. We’ve also gathered feedback from players across the COD World League and have decided to add Zero to the playable Specialist list in the CWL ruleset, starting with today’s update. Zero’s EMP and Ice Pick deliver a new layer of strategy to competitive play as a counter to some of the more powerful Scorestreaks and Equipment on the battlefield, and we’re excited to see how her tools come into play at CWL Fort Worth. We’ve also added the Drone Squad, Sniper’s Nest, and Strike Team to the list of restricted Scorestreaks in the CWL ruleset based on additional player feedback regarding AI-controlled Scorestreaks. Zero will have fewer chances to hack Scorestreaks in competitive play as a result, with more of the action focusing on pure gunplay. Lastly, we’ve heard the community’s requests for punishments against teamkillers in League Play with today’s update, as players will now be kicked from the game after multiple intentional teamkills. Play nice or go back to pubs, folks. Stock: Increased ADS move speed to pre-1.13 patch values. Increased Tac-Deploy insertion score from +15 to +30 points. Zero added to playable Specialist list in CWL ruleset. Drone Squad, Sniper’s Nest, and Strike Team Scorestreaks are now restricted in CWL ruleset. Players are now kicked for intentional teamkilling in League Play. Addressed a visual issue with weapons equipped with Gold Master Camo that have been acquired from the Mystery Box. Hot Pursuit added as the Featured Playlist. 3 new vehicles added: SUV, PBR, and Muscle Car, as well as police variants of the helicopter and ATV. New vehicles have special abilities to give players a competitive advantage at the risk of greater exposure. Muscle Cars have the ability to spot nearby Supply Stashes and Supply Drops. Police vehicles have built-in Sensor Dart functionality when their police sirens are activated, as well as the ability to detect enemy-occupied Muscle Cars. Supply Stashes and Supply Drops occur more frequently than normal. Players respawn with each circle collapse as long as one teammate is still alive when the next Collapse occurs. Respawns are disabled at the final Collapse. Players respawn with an MX9 and Armor. “The Numbers” Outfit Unlock mission now available by finding the Tactical Cap and completing the mission requirements. Added support for new “MKII” weapons in Zombies (Swat RFT, Daemon 3XB, KAP 45).